Getting better gas mileage depends on many things, including the type of car you have and how fast you cruise around (looking at you, speed demon!). There are dozens of ways to improve your fuel economy, reduce your footprint, and save money whether your ride is new or vintage. Preventative maintenance can improve your fuel economy in a dramatic way. Fat tires: Keep your tires fat and happy by maintaining the proper pressure. How happy will this make you? The EPA says you can improve gas mileage by 3% with properly inflated tires, enough for a free tank of gas per year. Bonus: it makes your tires last longer and safety improves with properly inflated tires. Tune it up: Basic tuning can improve your costs by about 4% a year, and bigger fixes make a bigger difference: replacement of a faulty oxygen sensor can improve your mileage by as much as 40%. The right stuff: Choosing the right oil and fuel for your car can improve fuel economy by 1-2% each year. Slow it down: It might not be as fun as speeding around town, but the US Department of Energy says that every 5 mph over 50 mph can lower gas mileage by 7% or more. 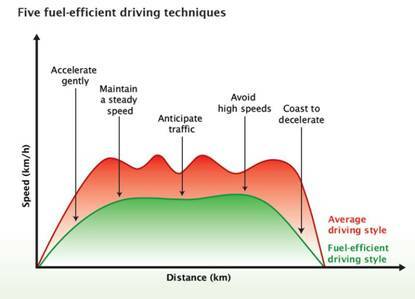 Anticipate traffic flow: Choosing slower, steadier driving (for both town and highway routes) reduces the need to accelerate and brake quickly, which helps you anticipate danger too — because the greenest car is the one that doesn’t need to be replaced! Smooth and steady: If you have a manual transmission, listen to the revving of the engine and be sure to shift at the right time (not too soon or too late, both of which increase fuel use). If driving an automatic, make sure the RPMs don’t rev too high by choosing slower accelerations. Don’t idle: Forget that old school rule about warming up your car in the winter, it’s just not true. Be sure to turn your car off when you’re stopped for more than a minute — no need to burn fuel while your friend is fetching your latte. Too much junk in your trunk: Aside from safety items like jumper cables and a spare tire, who needs to carry around extra baggage? Not you, green machine! Turning off your lights is an Action that is incredibly simple, yet incredibly important. Just how important depends on which type of light bulbs you have in your home or office. According to the US Department of Energy, incandescent and halogen lights should be turned off any time you leave the room because of high consumption of energy. Compact fluorescent lights (CFL) should be turned off if you are not going to be using them for 15 minutes or more; the longevity of CFLs is affected by how often they are turned on/off and they wear out with quick on/off switches. If you have invested in LEDs, the most efficient option for long-term energy and money savings, you can save even more by turning them off each time you leave a room. The longevity of LED lights is not affected by switching on/off too often. If you want to nerd out and calculate exactly how much you can save by flipping off the switches, the Department of Energy has detailed directions on their site. Keep in mind that daily or even weekly costs will be minimal. However, it’s important to look at all calculations in yearly cost and yearly energy savings. Extrapolating that data to your whole home, your office, your neighborhood, your city, and beyond can demonstrate how powerful a simple action like this can be for saving energy and reducing your footprint. Can’t remember to turn out the lights? The image below is a fun way to help kids big and small remember to turn lights off. And this article has some great tips for teaching children about energy efficiency and reasons for turning off the lights. If your family just can’t remember to flip the switch, invest in sensors, smart strips, or other automated home technologies so that you can turn the lights off automatically or remotely. This year, thousands of people around the world made Mother Earth their Valentine by celebrating the first annual Global Divestment Day. On February 13 and 14, people banded together to ask their schools, institutions, and local governments to break up with Big Oil, sending a clear message throughout the globe that it is no longer morally, politically, nor financially acceptable to support companies that profit from the destruction of our home sweet home called Earth. The argument for divestment is pretty simple. About two-thirds of the reserves in the ground must stay there to keep climate change at bay, but the oil, mining, and coal companies base their financial projections on burning it all up. This is just not feasible, as burning all existing reserves has the potential to ruin the planet as we know it, at which point the economy would fall apart. But can divestment really work, and is it a sound financial move? Keep it in the ground! Most academics and analysts agree that divestment of schools and public institutions will not itself weaken the capital of fossil fuels. If by divesting you sell your stock to the next investor, capital is just changing hands. However, divestment is not just about the money — it starts climate conversations where there were none before, and sets the tone for what is morally and socially acceptable in our communities. Historically, divestment from Big Tobacco and divestment from companies during the South African Apartheid were extremely successful in shaping public discourse and making big changes. It’s abundantly clear that burning the fossil fuel reserves in the ground will totally devastate the planet upon which the economy is based. There is no cost for fossil fuels that can make up for the future loss of natural capital: the price of losing our agricultural land, the damage to ecosystems worldwide, or the health of the population. By divesting now, we stand a chance to diminish the costs that future generations will have to pay, and can fuel the movement towards a cleaner planet today. In every era, we know that industry and progress follow the money, and the case for divestment has recently gotten stronger with the sharp decline in worldwide oil prices. To top it off, the environmental and human costs of new modes of fossil fuel extraction like fracking are making fossil fuels a less promising investment than in decades past. And the nail in the coffin of fossil fuel investment? The cost of renewables like solar is decreasing each year, and the job market for renewables is seeing a steady increase. In a study done by the banking firm Lazard, solar energy is roughly 5.6 cents a kilowatt-hour and wind is as low as 1.4, whereas natural gas and coal come in around is 6.1 and 6.6 respectively. Any smart investor can see where the future fortune lies. But perhaps the best argument to convince our cities, schools and communities to divest is that it makes great financial sense. Reports show that in the past five years, funds divested from fossil fuels have outperformed the conventional funds. 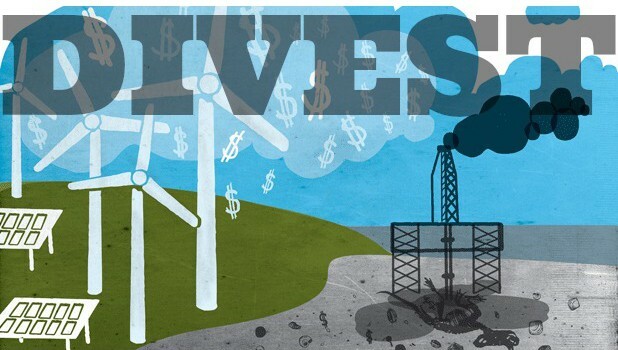 In fact, Business Spectator says that a divestment strategy “can make perfect financial sense. The fossil fuel free index also showed less volatility than the conventional [funds].” So, better returns on investment, less risk of climate disasters, and a healthier world for future generations? It seems like divestment is the sweetest Valentine of them all. Join millions at GoFossilFree.org. Add your name to one (or several) of the 450 different petitions across 60 countries. The more your public institution(s) see that climate change is an issue of concern for the community, the sooner we can start a discussion about the long-term consequences of climate action. If there’s no divestment organization in your community, start your own! Divest yourself. A recent study done by the Sierra Club and Rainforest Action Network found that major banks and credit card companies, like Wells Fargo, Bank of America, Chase, and Morgan Stanley, give hefty contributions to fossil fuels. If you pay annual fees, transfer fees, or interest to these banks, your funds are supporting coal and oil investment. Consider moving your money to a credit union or a community development bank in your area. To find out how your bank rates, check out Green America’s scorecard. Bill McKibben of 350.org discusses why student-led divestment movements are changing the landscape of fossil fuels. Read more on Rolling Stone. The Financial Case for Divestment of Fossil Fuel Companies by Endowment Fiduciaries by The Huffington Post. The country of Norway divests from fossil fuels: learn how and why here on Clean Technica. Why the discussion is now Peak Carbon instead of Peak Oil by GoFossilFree. Learn what happened on Global Divestment Day in February 2015: watch the video from GoFossilFree. 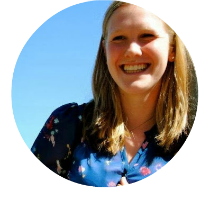 About the Author: Rachel is a recent graduate of the University of Hawai’i at Mānoa, and is the RISE Intern for Oroeco. She is excited to pursue a career in environmental sustainability, and is thrilled to promote Oroeco’s vision of saving money and the planet simultaneously! We sat around a table tasting several varieties of Malbec wine, watching the magnificent sunset colors of orange, pink, red and yellow dip behind the snow capped Andes Mountains. Surrounding us were hundreds of miles of Malbec vineyards within Uco Valley of Mendoza, Argentina, and it was absolutely gorgeous. At the time, it did not cross my mind that this land and climate might not look like this forever, and that the delicious local wine might not be available in the future. I had little idea of the disastrous effects that climate change could have on this beautiful region. Wine production in Argentina is a crucial part of the country’s vibrant culture, historical development, and economic success. Argentina’s western region, Mendoza, is extremely influential in Argentina’s domestic and international wine success. With more than 1,500 wineries in the region, Mendoza’s Malbec wine produces seventy-five percent of all Argentine wines, and represents eighty-five percent of all Malbec vineyards worldwide. Mendoza’s terroir, or their unique climate and geography, allows agriculturalists to produce grapes (and therefore wines) unlike any other region in the world. 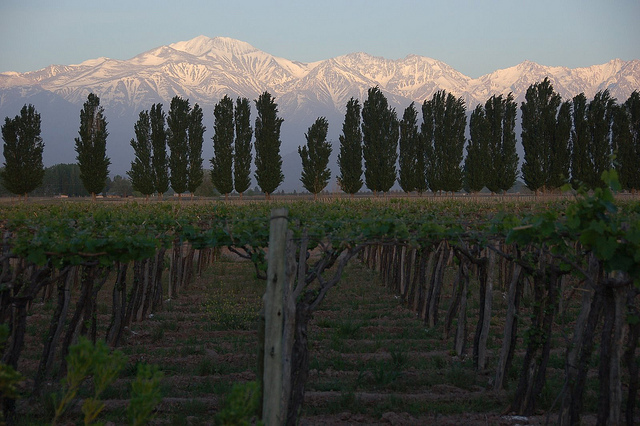 Mendoza’s high altitude, arid climate, lack of rainfall, nutritious soil, and differences in day and night temperature allow Malbec grapes to thrive. But, the increasing impacts of climate change already have affected and are expected to continue to affect Mendoza terroir, the Malbec grape, Mendoza’s wine industry, and, potentially, the Argentine economy. The Mendoza region has already seen increasing temperatures, melting glaciers in the Andes Mountains, changing precipitation patterns, decreasing water availability and unpredictable storms. Most Argentine wineries, as well as worldwide consumers assume that Mendoza will be able to produce its wines indefinitely. But this is not the case if wineries do not learn to protect their region’s climate and agriculture. It is not the case if we do not take the basic steps to minimize our global footprint. When managed well, wineries can actually help to sustain their climate and continue to produce delectable wine by minimizing their carbon footprint with practices like implementing irrigation techniques that conserve water, instituting composting processes, building recycling systems, or by choosing organic or biodynamic production methods. More importantly, as global citizens WE can take steps to protect this region and its unique agriculture. We have the responsibility to protect this region so that future generations can see its beauty and taste its deliciousness just as we do now. Here’s how you can help now! We can help spread knowledge and awareness of climate change and its affect on the Mendoza region and their delectable wines. Together we can catalyze the global environmental movement. We can support Argentine wineries (among other businesses and their products) that are certified organic, Fair Trade, B Corporations, and have adopted some of the environmentally friendly agricultural techniques listed above. We can continue to lower our own global footprint by recycling, driving less, eating locally, and buying products that were produced in environmentally responsible ways. 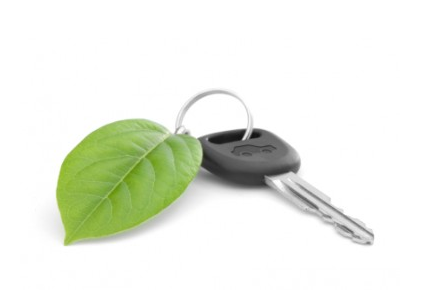 Oroeco’s web apps help you easily manage, understand and minimize your carbon footprint! image from Flickr Creative Commons. 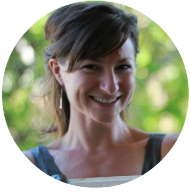 About the Author: Maddie Weiner is a writer and activist based in San Francisco. She is a recent Brown graduate with studies in International Development, Environmental Studies, Social Entrepreneurship and Spanish. Sometimes we all need a little nudge to do the right thing. Choosing to reduce your energy consumption is great when it’s good for the polar bears and the rainforest, but you probably don’t think it affects you directly. The good news and the bad news is that rising electricity costs make it so that doing the right thing for the planet is also the right thing for your budget. 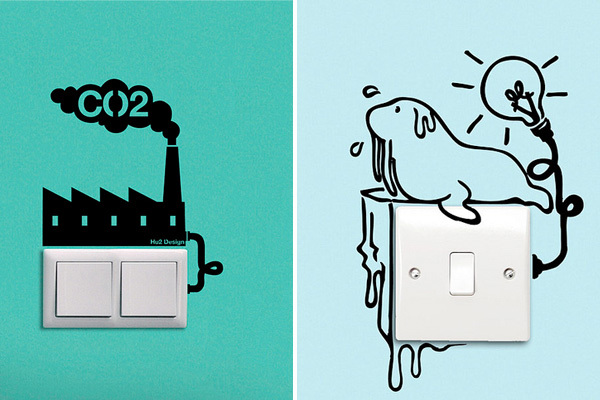 It might just be the nudge some of us need to be more conscious of our electricity usage. 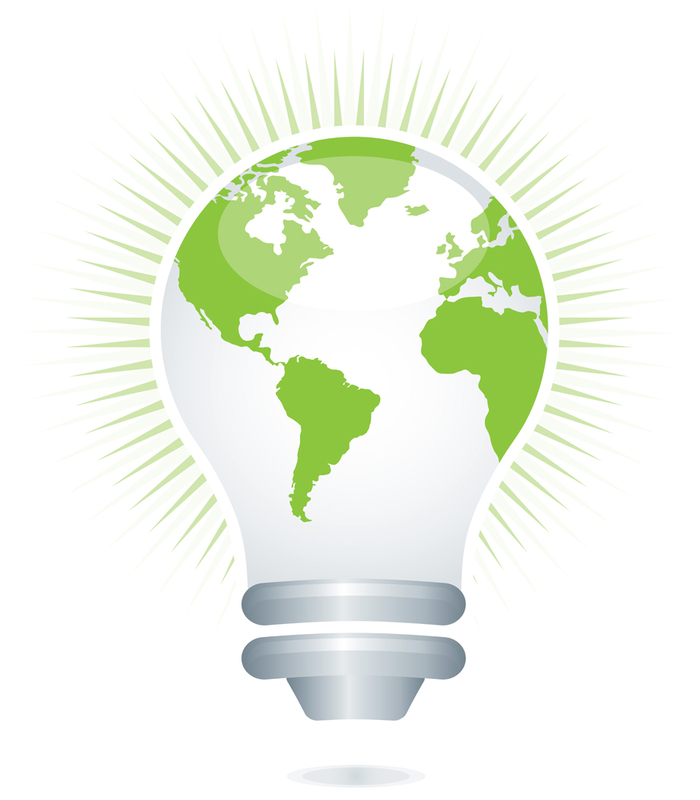 We all know we can easily reduce our impact on the planet and our budget by reducing our energy use in various ways. But how much difference does it really make? How much money can you really save by reducing your electricity usage? Turns out it depends on where you live. As you can see in the image above and the table below, the cost of electricity varies widely between states. An interactive version of the image is available in the original article from the Huffington Post, but above is just a sample of how widely costs can vary between states. Why the range of prices between states? Varying local infrastructure, climate, availability of sources, pervasiveness of renewable energy technology, and other factors account for the variation. And rates will continue to climb. According to the New York Post, electricity rates will likely increase about 4% each year as coal-fired power plants shut down and are increasingly regulated in the coming years. 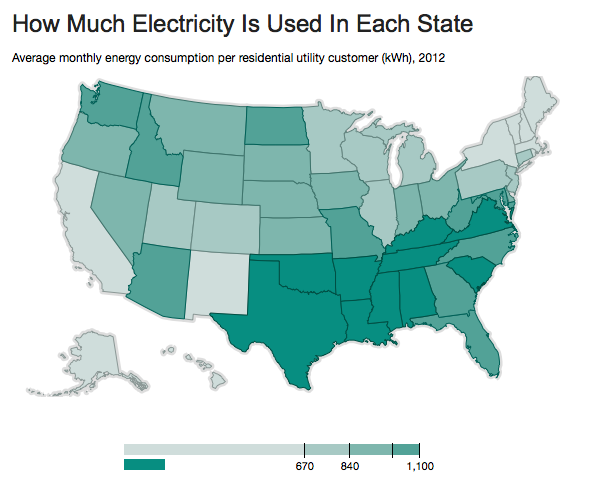 In another graphic in the article, the electricity usage by state is shown. 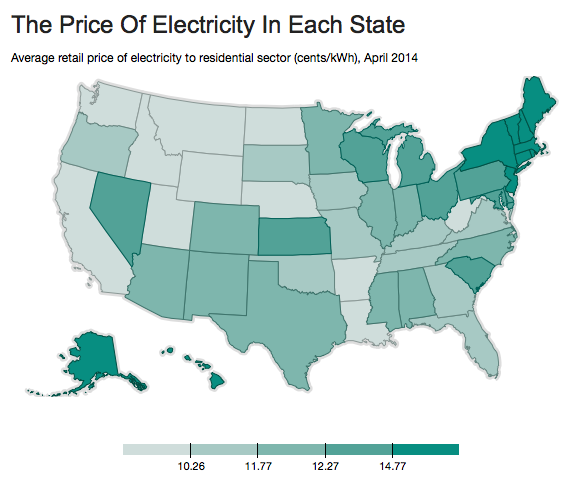 And guess what — the states with the highest energy costs also have the lowest use! High-cost Hawaii has one of the lowest collective uses of electricity (it helps that it’s always pretty warm there), while some of the states where electricity cost is low have some of the highest rates of usage (such as Washington, Texas and Arkansas). What does this mean for you as a user looking to reduce your energy costs? If you live in Hawaii or New York, cutting energy costs makes sense for your own wallet AND those polar bears. Those living in the states that have the highest cost of electricity are actually double incentivized to reduce their consumption: not only is it better for the planet, it’s a quicker return on investment when they see reduced costs on their electricity bill in a short time period. But, if you live in Texas where electricity rates are incredibly low, it’s a bit harder to convince everyone to reduce energy just for the sake of reduction, since it doesn’t impact their personal budgets as swiftly or as greatly. The upfront costs of LEDs and appliance upgrades might deter those living in states with lower electricity rates, and it might be harder to see the benefit of the upfront costs. However, as noted by Forbes, even though a incandescent bulb costs about one dollar compared to a new LED bulb at $25, the lifespan and operational costs make it the cheapest option for the long-term, both for your personal carbon footprint and your budget. To upgrade appliances, consumers can get incentives from the state and federal governments to help reduce the cost of new Energy Star refrigerators, fans, air conditioners and other high-cost items. Just as the once high cost of solar power has been reduced to make panels more affordable and the payoff period shorter, innovation in products and increasing energy rates will continue to shorten the return on investment for all upgrades. Even in states where energy rates are low and the return on investment might be a bit slower than high-cost states, there are still many incentives for consumers to make efficiency upgrades, which benefit all consumers (and polar bears!) immediately and in the long-term. 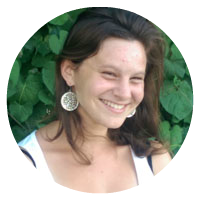 About the Author: Andrea Bertoli helps to spread awareness of personal climate impacts via social media, blogging, advertising and community outreach for Oroeco. 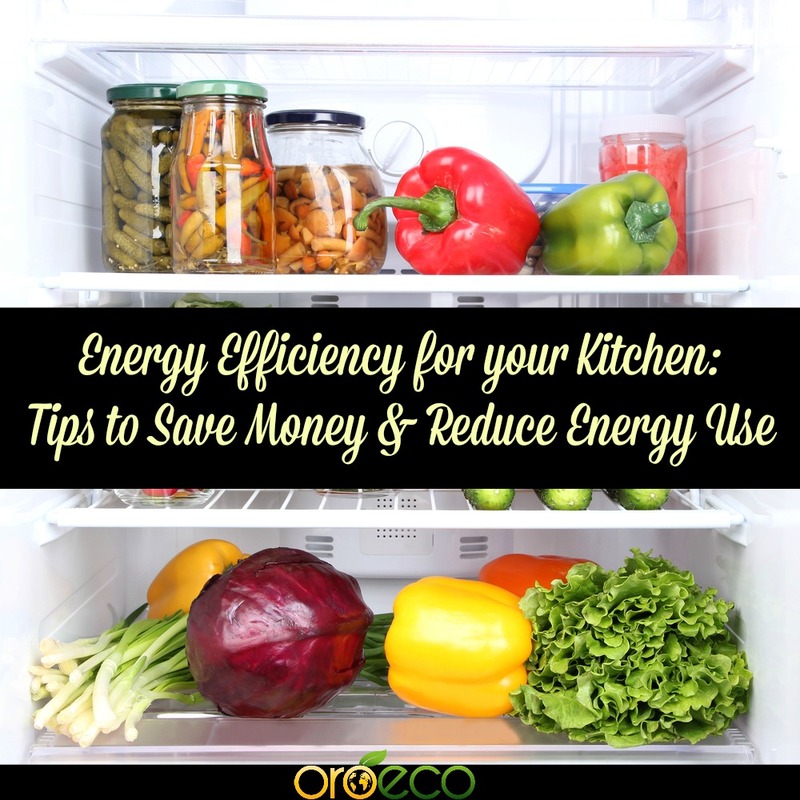 Throughout your kitchen there are dozens of ridiculously easy ways to boost energy efficiency. These tips will make you and your appliances more efficient, saving both money and time. Making just a few changes will help you improve your carbon footprint, drop your energy costs and boost your eco-credibility, whether you’re eating like a college student or a locavore gourmand. Practice the two-thirds full rule. It doesn’t matter if your fridge is full of fruits and veggies or beer and pizza, keeping the fridge and freezer mostly full ensures that less air escapes each time you open the fridge. Each item acts as a “cold battery” helping to keep the fridge at a cooler temperature after it’s been opened. Clean your condenser coils 2-3 times per year. It’s a really icky task, but it can make a huge difference for the function of your fridge. Condenser coils direct the airflow throughout the fridge and often build up with dust, pet hair and other stuff. According to Green Living Ideas, you can save 15% of the electricity by keeping the condenser coils clean. Ensure airflow around your fridge. Keep a few inches on each side of the fridge, and try to avoid using the top of the fridge as a storage unit, which keeps the fridge cooler overall. Keep frost at bay: Not only does that frosty buildup in your freezer decrease the available space for awesome vegan ice cream, it makes your appliance work harder than is necessary. Remove any frost thicker than about a quarter-inch. Think before you open and close: Nearly 7% of the electricity used by the fridge is just from opening and closing, so think before you open! Match the pot size to the coil size. It’s imperative to choose a pan that fits evenly or slightly larger than your coil. Tf you have a gas stove, choose a flame that’s slightly smaller than your pot or skillet. Use the right appliance. A small toaster oven is great for cooking small batches of cookies, trays of roasted veggies and so much more. The energy use is still high, but because it heats up so much quicker it uses less energy overall. An electric kettle is another quick energy (and time) saver for tea and coffee. Make the most of the heat: Turning on the oven generates a lot of heat (and a lot of energy!). Use the oven light to see the food rather than opening the oven door. Cook in double batches to make use of the heat, since the oven is already warm. This means you should plan on two batches of cookies instead of just one! Cast iron cookery: Cast iron cookware seems old-fashioned, but it’s super retro-cool and mega functional. As your grandmother probably told you, cast iron is very durable, made from iron (rather than petrochemical based Teflon), lasts forever, and can be used with lower heat settings because it retains heat so well. Pre-measure your water for boiling. When making tea or coffee at home, pre-measure the amount of water before heating — this is both energy efficient and water efficient, since you heat only the amount you need for each cup. When you make coffee and tea at home, you can save time and money. For even more efficiency tips for cooking, check out this post on Green Living Ideas. What are your favorite kitchen tips to save energy, water and time? Share in the comments below what helps you in your kitchen!